Want to be able to hear the audio progress of faxes and voice calls on a speaker instead of the hard to hear internal fax/voice modem speaker? You can configure your internal or external fax/voice modem to output the audio to an external speaker or other device. These instructions are for use with some external or internal fax/voice modems that have a LINE OUT 3.5mm speaker jack for external audio. NOTE: Mini USB type modems and many fax only modems do not have a built in modem speaker and the external LINE OUT speaker jack, so this method is not possible. 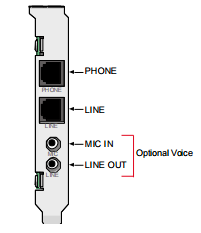 Voice/Fax Modem with a LINE OUT 3.5mm speaker jack. A Sound card on your computer with a LINE IN 3.5mm jack. NOTE: If you do not have a sound card, you can plug an amplified speaker directly into the LINE OUT jack of the modem and these steps are not necessary. Consult your fax/voice modem manual for any additional requirements. NOTE: If you do not have an available LINE IN jack on your sound card, you may be able to use the MIC IN jack instead. Using the Male to Male speaker cable, Plug in the LINE OUT/LINE from the fax/voice modem to the LINE IN or MIC IN on your Sound Card. 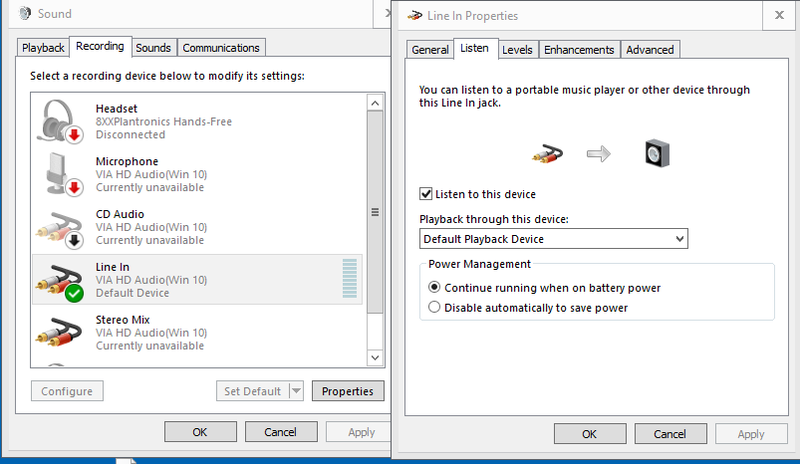 In Windows, Open the CONTROL PANEL, SOUND option. Find and Select the LINE IN or MIC IN recording device from the Recording tab. The instructions provided are specific for Windows 10. Steps may differ for other versions of Windows.